It may not seem cold to the snowbirds, but for Floridians, it’s been a chilly week. 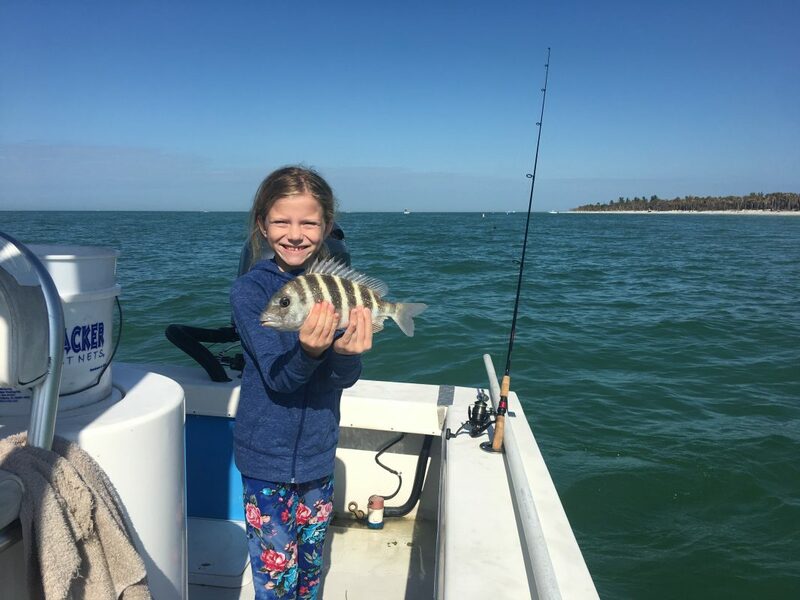 As for fishing around Anna Maria Island, the sheepshead and catch-and-release redfish bite remains steady. With numerous days of cold temperatures and windy conditions, fishing our local and inshore waters has been challenging at best. The bite is still fairly good — the challenging part is dressing warm enough to be out on the water. With temperatures in the mid 40s travelling across the water at 30 mph in a boat can be slightly less than comfortable. Fortunately, once the rod starts to bend and you’re reeling in fish, you seem to forget about the cold. On the warmer, cold days when the Gulf of Mexico is navigatable, venturing offshore to ledges, reefs and wrecks is worth a “look-see.” In depths of 35-50 feet, mangrove snapper are quite abundant was well as Key West grunts and porgies. If you’re lucky, you may reel up some hogfish, too. On my Southernaire trips, I’m staying inshore to concentrate on sheepshead, black drum and catch-and-release redfish. Fishing rock piles in Tampa Bay is producing some respectable sheepies. I’m seeing quality size sheepshead being caught around docks and seawalls. As far as the black drum and catch-and-release redfish, dock fishing is where it’s at. Casting live shrimp in these areas is yielding many reds. Most are 18-24 inches, but the sheer numbers of catches outweigh the smaller sizes of the fish. On some mornings, I am seeing as many as two dozen redfish being reeled to the boat. And, with a few black drum and some fat sheepshead, you can put together a decent morning of fishing.